Prosecution that leads to justice. This is another key element in the success of the Impulse Model of fighting human trafficking. Because victims must get justice, which is a crucial step for them to become survivors. INGON works with victims and the legal fraternity to ensure justice isn’t lost, but delivered effectively. Impulse NGO Network ensures that victims and their families are provided with legal support, counselling and assistance to file law suits against the perpetrators of human trafficking crimes. This critical Prosecution pillar of the Impulse Model also includes the training of judiciary and lawyers. They are trained and sensitized to understand the particularities of the crime of human trafficking, from a victim point-of-view. In real terms and cases, INGON follows up with the prosecution to ensure that legal procedures are being followed properly and swiftly; and follows up with the police on the progress of the case, and contacts higher authorities if there is an unreasonable delay. 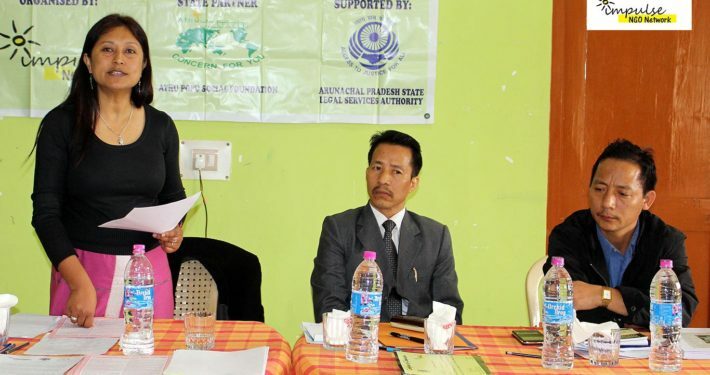 Impulse NGO Network partners with several legal organisations, practicing lawyers, and retired members of the judiciary, to spread awareness, develop sensitivity, and effectively pursue legal cases of human trafficking and exploitation. If you have an idea or ideas on how to improve Prosecution of perpetrators of human trafficking and exploitation of women and children, please get in touch with us and we will be happy to take anything forward that helps in putting an end to human trafficking worldwide.